Entrepreneur and Tesla cofounder Elon Musk recently sparked controversy when he labeled artificial intelligence (AI) the “biggest existential threat” to humanity. Hold on . . . you mean AI can help the tax function? Can we capitalize on this new technology to gain competitive advantage? And should we worry about our own job security at the same time? Things can be confusing as the popular media presents artificial intelligence, in the same breath, as the most pressing threat to humanity and the key to improving the world. Confusion aside, what drives these headlines grounded in future shock is that AI technology is making exponential advances. You hear about AI, but do you understand what it is? Is AI really that far out in the future, or is it already a reality we can’t ignore? If you think “artificial intelligence” is just a buzzword, you might not fully appreciate how it can affect your future as a financial or tax technology executive. Unpacking the space around AI and machine learning (or ML), which are often used interchangeably, reveals that machine learning is more applicable in the near term to the finance and tax world. While we are a long way from true artificial intelligence—which we can define as technology that understands, reasons, makes decisions, provides complex responses, and acts logically like a human—machine learning is at hand. 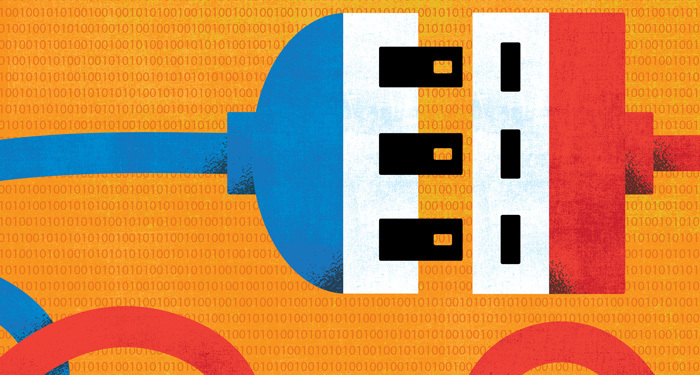 It is an extension of advanced analytics based on the idea that machines can learn from data. Traditional problem-solving has employed software developers to reason out and write down the steps in code to overcome a given challenge. This activity is arduous and time-consuming, as experts first must explain what the problem is and how it should be solved before technical specialists can code and test it. Enter ML, which works by feeding general-purpose software data that includes sets of input and the expected outputs that then teach the software what drives the relationships. This allows the technology to work out how best to solve the problem without the need for people to manually code software with a specific set of instructions. With ML, you feed the technology a new input and it will be able to, with a high probability, determine the right output. Of course, this prediction is based on a major assumption—that the technology was fed good, clean data to begin with. It’s a predicament with which many organizations still struggle. Artificial intelligence can even map growing product lists against extremely complex (and rapidly changing) jurisdictional regulations. Artificial intelligence forges new partnerships between humans and machines. Humans can apply common sense, moral reasoning, imagination, and compassion to their decision-making, whereas AI excels at locating knowledge, identifying patterns, eliminating bias, and operating with endless capacity. However, it is important to note that, for humans, AI is more of a tool than a solution and augments human capabilities rather than replaces them. Artificial intelligence and machine learning are already deeply intertwined with our day-to-day lives. They are not limited to futuristic products like self-driving cars or autonomous walking robots. There are “thinking machines,” and the technology is everywhere around us. This technology can read handwritten checks so you can deposit them online or via a mobile app. Financial companies use machine learning to determine your credit score, monitor transactions to prevent fraud, and make investment decisions. Virtual assistants that can understand voice commands and provide contextual answers to humans’ questions are no longer novelties, and they’re getting smarter as the technology advances. Social media is also filled with AI/ML features. Through the so-called deep learning technique, Facebook’s artificial intelligence can comb through users’ posts in multiple languages, understand the essence of each, and even identify faces in photos. Machine learning can create new algorithms that mirror or support human decision-making capabilities. For example, instead of spending hours reviewing large documents, an ML tool can complete the task in seconds, determining whether the document contains anomalies or audit risks. ML is touted as being more accurate than humans, increasing productivity and accuracy, and spurring economic growth. AI harks back to the early twentieth century, when Spanish engineer and mathematician Leonardo Torres y Quevedo proved, with the first chess-playing machine, that machines could “think.” Major advances occurred roughly every forty years until about 2005, at which point advances accelerated. 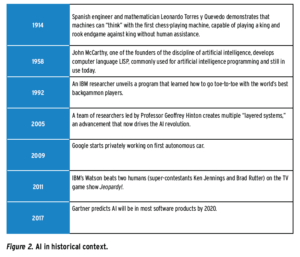 (See Figure 2 on page 29 for a more historical view of AI.) Fast-forward to 2017, with Gartner Inc. predicting that by 2020 AI will be in every software product. Now AI has reached a point where its applications are pervasive in technology. As impressive as all this sounds, it’s just the beginning. The future promises more dramatic advances in AI and ML, thanks to the ever-expanding supply of data that machine learning programs can access. For example, Toyota just announced the creation of an industry consortium to share data gathered over a trillion miles driven in an effort to train safe self-driving cars. This insatiable appetite for data, along with the potential for creative uses, is enabled by AI and ML and is already transforming business. More and more, AI and ML are included in everyday business operations in every type of industry. They are especially prevalent in financial technology due to the massive amount of data these companies deal with daily. Like fintech, much of tax is based on patterns and is a highly regulated, rapidly changing industry. Tax planning and compliance and the working world of tax professionals will see a dramatic change in the next few years due to AI, a recent paper issued by KPMG concludes. In the United States, a single printout of the IRS tax code and regulations would fill over 75,000 pages. While creating a system that can understand the U.S. tax code and associated case law is a long way off, companies can use algorithms to sift through and make sense of this information every day to find patterns, predict actions, and more. The industry has grown more intricate with new regulations, varieties of taxation, supply chains, and overall rapid transformation. Humans need assistance to navigate this complexity, and ML is the perfect tool to increase efficiencies around repeatable low-value tasks. This support will not eliminate the need for knowledge workers, but rather will increase their effectiveness. Artificial intelligence can even map growing product lists against extremely complex (and rapidly changing) jurisdictional regulations. What’s more, one form of machine learning—robotic process automation (RPA)—can automate tasks across multiple tax processes. Calculation, tax returns, and Treasury processes can all be streamlined, leaving the less tedious, time-intensive work for human tax professionals. This division of labor can help tax to strategically contribute to the bottom line of the business. The bottom line is important here—the tax industry can increase efficiency, save time, and reduce costs—so why wouldn’t tax professionals want the boost AI provides? On a global scale, more and more governments demand accurate, detailed reporting information from multinational enterprises in real time, intensifying the need for foreign and domestic entities to enlist robotic help. Tax compliance is evolving and modernizing faster and faster. The main driver behind this furious pace is the growing need for tax authorities to automate and maximize their data collection capabilities and thus their ability to collect revenue. In short, governments around the globe are becoming increasingly savvy adopters of technologies when it comes to gathering tax data with an efficiency and speed quickly approaching real time. As governments get more efficient, regulatory requirements continue to evolve. Businesses and their respective tax departments are now pushed and pulled to adopt AI technologies to ensure their processes and reporting capabilities meet and even exceed these new regulatory requirements. Tax authorities are gaining the ability to see data all the way down to the transaction level and can match both ends of a transaction, necessitating data that is as clean and accurate as possible. As an example of the rising tide of governments’ focus on tax data collection, over 100 countries have backed the Organisation for Economic Cooperation and Development’s (OECD) base erosion and profit shifting (BEPS) initiative, which aims to reduce tax avoidance by international businesses. Now all the BRICS countries—Brazil, Russia, India, China, and South Africa—collect detailed information on transactions from businesses, some in real time. Each enlists AI and/or ML to spot outliers and trends in the data. It is only a matter of time before massive multi-company data sets of inputs are scored across issues and used to train robotic audit assessment systems. Driven as much by efforts to police money laundering and the financing of terrorism as by tax, the data grab is on. For revenue authorities, the belief is that AI will inform and augment government officials’ understanding of available data that they can then use to better their ability to curb VAT fraud and maximize revenue collection. With these developments and obvious motivators, these entities’ understanding and use of these technologies and other advanced big data initiatives should give all businesses pause. How can they themselves use AI to expand their capabilities to collect, report, and, more importantly, understand their tax data? That governments and tax authorities readily embrace AI for tax insights is sobering evidence that businesses must stay ahead of the curve and modernize their tax departments and technologies. Businesses will need to equip themselves with the technological tools and human elements to understand what governments are looking for and what their respective companies provide—i.e., mitigating risk by providing the most accurate reporting possible, garnered and deciphered from trillions of lines of data. Success truly demands a melding of machine and man, and it’s slightly ironic that governments have instigated this innovation. In addition, legacy infrastructure has hindered many elite G20 members, who are not at the forefront of the AI wave of change. We have seen that more recently developed countries and smaller economies are leading the way when it comes to AI advances and innovation at the government level. We see this in places like China, Russia, India, Brazil, and Estonia. Perhaps this may change as the president of Estonia, one of the most digitally advanced nations in the world, ascends to the presidency of the European Union this year. The country has stated its intent to make the digital single market and the development of a digital society a top priority for its term of presiding over the Council of the EU. China, for its part, is the world leader in AI research, producing far more scholarly journal articles than any other country. However, the rest of the developing world is not far behind, as places like Colombia and Chile both consider data grabs similar to Spain’s SII (Immediate Information Sharing) requirement and use of AI against this tax data, much as Brazil currently does. Earlier this year, the United Nations held a forum in Mexico City to discuss opportunities and identify sectors where Latin American and Caribbean nations can harness new technologies like AI and blockchain to support public policy execution and sustainable growth in the region. In Japan, the National Tax Agency is investing in AI to streamline its own tax administration and to target individuals for audit. The United Kingdom is doing the same thing. An independent regulatory body called the Financial Conduct Authority uses AI for a subset of fintech, called regtech, to reduce the cost of regulatory compliance (currently around $80 billion globally). Global financial leaders are taking note of these early adopters, and we will see this technology play a larger part in government and enterprise tax insights, regulation, and compliance. The timetable to start organizing and incorporating AI into the fabric of our regulation and compliance begins now. Maintaining our individual economic competitive advantages requires us to embrace these tools and integrate them into our existing infrastructure. What Can AI Do With Your Data? Now that governments are using AI to access your data, what will they do with it, and how? Authorities will begin to leverage AI tools to learn about the past, recognize patterns, and apply them to the future. The catch with AI is that these tools will be able to capture what spreadsheets and the human eye cannot. Using spreadsheets will no longer be defensible. As sophisticated technology presents new opportunities and changes how things are done, training and hiring employees with high-tech skills becomes a necessity. With this in mind, what can AI actually do with your data? AI and ML tools recognize patterns within data and leverage those patterns to glimpse the future. By finding connections and patterns across provided data, the software uses learned behaviors to predict how the data should look in the future. Advances in AI have made it possible to construct a data-based realistic model of what your company should look like and how it should operate. Through AI, a massive data set can be created to enable government to evaluate how information from “a company like yours” should look. This makes it easier to recognize anomalies in your data, ultimately changing the way risk and compliance will be handled. For companies in a highly regulated industry, AI tools will be leveraged to look at your business transactions, analyze your data, and then present scenarios that could—and are likely to—emerge in the future. If your data doesn’t match, it will be flagged and could trigger a deeper look into your company’s information. Remember, these technologies operate on past data, both input and historical results, in order to learn to spot anomalies. Therefore, to set and maintain a good baseline, business leaders need to ensure their data is clean and transparent and to keep it consistently so over time. This makes establishing the right data management and strategies critical for organizations. The power of AI is apparent, but with disruption come concerns. The success of AI depends on data sharing, which gives rise to security fears. If I provide confidential information to country A, will they keep it private or will they share it with someone else, a competitor headquartered in country B? Traditionally the definition of “confidential information” was data and correspondence. What about AI routines trained using my data—is that something I should be concerned about? Nobody knows the answer to these questions. This belies the fact that the level of technical knowledge that government and business employees must have is a common hurdle that comes with innovation, including AI. As sophisticated technology presents new opportunities and changes how things are done, training and hiring employees with high-tech skills becomes a necessity. AI’s long development life cycle has reached a point where its applications are changing rapidly. Given the range and magnitude of its potential influence, companies need to prepare to clear impending hurdles involving people and process. Embracing the change will require significant shifts in both leadership and employees’ perspectives and behaviors. Organizational work flows and processes will need to be reevaluated to determine which functions are best suited for artificial intelligence. This is especially true in data-intensive businesses and in back-office functions like corporate tax that are ripe for AI disruption. Data is a crucial element of artificial intelligence and the most important commodity in today’s digital world. As with any disruption, transformation will not be immediate, but it is on the horizon. Recognizing the direction your industry is taking and establishing a long-term data management strategy is necessary to stay on the fast track of innovation, especially for tax, where petabytes of data are produced each month. Do you know where your company is going? Is it expanding its global presence or offerings? What are your current and possible future data sources? How comfortable and confident are you in your data? Do you know what governments are looking for? Are you able to identify problems and opportunities faster than the competition or authorities can? Check out the five key steps to take before investing in AI (see box on page 28). Executives need to have confidence and trust in the financial results of the company, and tax data management is essential for success. Invest in the right tools to harness the data that humans cannot analyze with spreadsheets alone. For tax departments, this might mean partnering with the finance and IT departments, consulting with tax and data management technology experts, and working with data analysts. Develop a deeper understanding of how AI can solve internal challenges and be used across business and accounting activities today and in the future. Key to developing realistic use cases is to begin looking for opportunities to “tag” data with expected outcomes generated by human experts. The input/expected output data sets can be then used to train the company’s AI assistants. The power of AI and ML technologies can help leaders make decisions critical to their mission, a power that should be recognized and leveraged. Artificial intelligence is ready to consume your company’s tax data. Is your data ready for it? John Viglione is executive vice president of Vertex Inc. David Deputy is the director of strategic development and emerging markets at Vertex Inc.
Sandhya Venkatachalam, “3 Ways Artificial Intelligence Will Change the World for the Better,” World Economic Forum (May 29, 2017), www.weforum.org/agenda/2017/05/artificial-intelligence-will-change-the-world-heres-how. 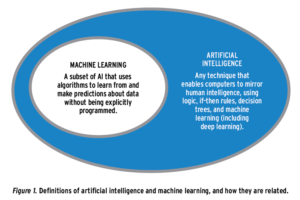 Cas Milner and Bjarne Berg, “Tax Analytics: Artificial Intelligence and Machine Learning—Level 5 (n.d.),” PricewaterhouseCoopers LLC, www.pwc.com/us/en/tax-services/assets/artificial-intelligence-and-machine-learning-final1.pdf, accessed August 14, 2017. Kuo-Wei Hsu, Nishith Pathak, Jaideep Srivastava, and Eric Bjorklund, “Data Mining Based Tax Audit Selection: A Case Study of a Pilot Project at the Minnesota Department of Revenue,” in Real-World Data Mining Applications (2015), www.researchgate.net/publication/289988317_Data_Mining_Based_Tax_Audit_Selection_A_Case_Study_of_a_Pilot_Project_at_the_Minnesota_Department_of_Revenue, accessed August 14, 2017.